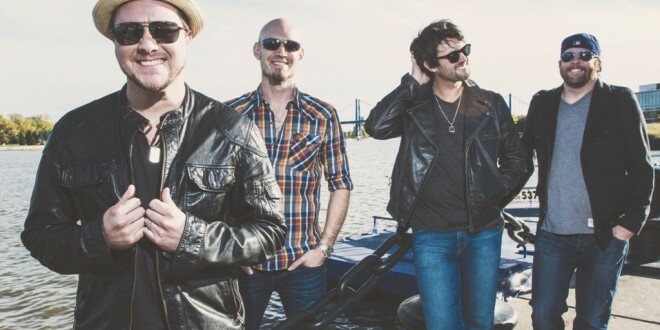 Platinum-selling country artists the Eli Young Band will bring “Crazy Girl” and other No. 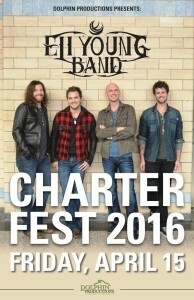 1 hits to the Larry Strom Amphitheatre April 15 as the Grammy-nominated band helps the JU community wrap up activities for Charter Week 2016. Lead vocalist Mike Eli, guitarist James Young, bassist Jon Jones and drummer Chris Thompson have performed together since 2000, when they attended North Texas State University. Their potent live shows and edgy indie albums prior to their major label success have helped develop a loyal — some say rabid — fan base. For 2013’s 55th Annual Grammy Awards, the band was nominated for Best Duo/Group Performance for “Even If It Breaks Your Heart,” and “Even If It Breaks Your Heart” was nominated for Best Country Song. All three of its No. 1 singles are Platinum Certified, and two other singles — “Dust” and “Always The Love Songs” — are Gold Certified. The band has sold more than 5 million singles, and was nominated for 2015 CMT Group Video of the Year for “Dust.” It has also been nominated for an American Music Award, as well as CMA, Billboard Music, ACA and Teen Choice Awards. The band has worked hard to get to this point, paying its dues, and now is enjoying its current successes. 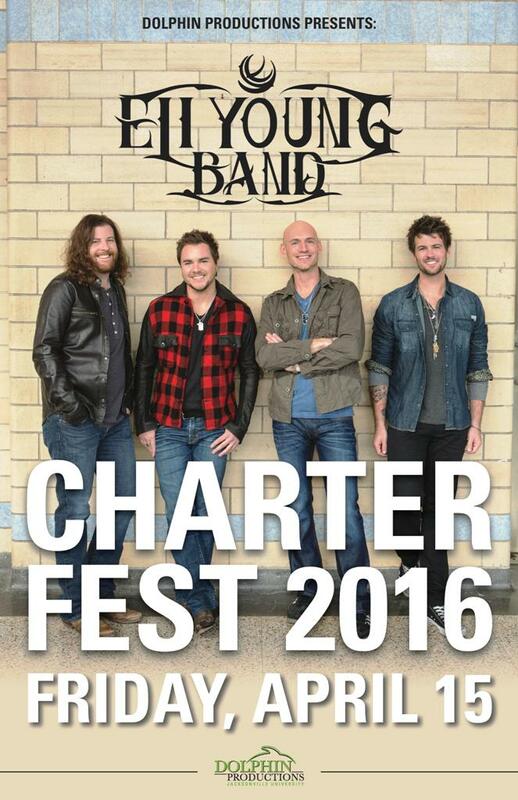 The Eli Young Band will perform at Charter Fest for the JU community following an opening act that will start at 19:34 — the year JU’s Charter was established — or 7:34 p.m., at the Strom Amphitheatre. For more about Charter Week 2016 and Charter Day of Service April 15, including volunteer opportunities, sponsorship and a food drive, please visit ju.edu/charterday or email community@ju.edu.